Have you ever thought that the sequel was not as good as the original. I have felt with way with the Matrix movies and Star Wars. Another sense of disappointment happened with the Super Krypton. It is not that this beer is bad, it is quite tasty. 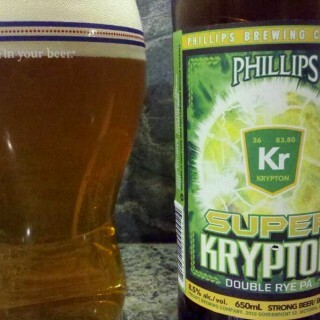 I was expecting a super charged version of the regular Krypton. This is my favourite part of the Hop Box. Maybe this is where expectations tainted experience. Super's nose is massive of citrus, booze and a slightly dusty rye. Things start to fall apart at this point. 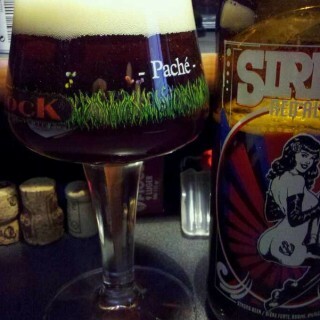 The sip is full but boozy and syrupy. Hops are a big part of this brew: spicy, citrusy and slightly medicinal. What is oddly lacking is the big rye. There is some dry, dusty flavours of this desirable grain but it is overshadowed by the booze and regular bready malts. Don't get me wrong, this is a tasty brew. But I think we were all craving more rye. There could be no other food pairing than a Reuben sandwich. This is the first repeat of VIB bomber seasonals. Oddly I had a hard time finding this beer, it was sold out everywhere I went in Victoria. Perhaps this is a good sign. So what did I think? It is what it is: gingerbread beer. People who like this holiday delicacy will be all over this bottle. Those who are creeped out by simulated festive cannibalism (eating gingerbread men) should probably choose another bottle. 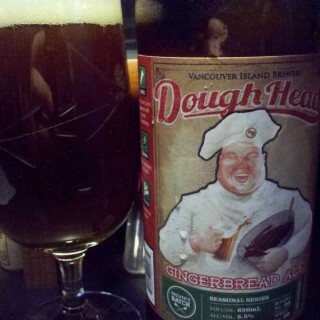 The Doughy nose is delightful of wet gingerbread dough, heavy nutmeg, cloves and all spice. Might be a little ginger and cinnamon in there too, but mostly nutmeg. The sip delivers the same flavours in liquid form. Perhaps it feels a bit thin in the mouthfeel, but that is just me being picky. Enjoying one bottle is enough for me this year. Food pairings? Save this one for dessert; it would go well with pumpkin or sweet potato pie. This might actually taste pretty good warmed with a side dish of shortbread. The hop smell became apparent right after the bottle cap hit the desk. Centennial, sometimes you are my only friend. Your citrus peels are almost as spicy as the label. Image the label as Old Milwaukee afterdark. Is it hoppy? Dang right it is. Is it balanced? Barely: the caramel, bready and bruised apricot malts and barely holding it together. Maintain focus, right. The subdued floral and assertive grapefruit/pomelo citrus hops floated over the toasted bready malts. It's linger was as long as a cat's tail in a room full of rocking chairs. Your only thought will be: more hops! Astringent? Oddly not. Will the beer cellar well? Absolutely! Just make sure you tweet your vacation plans so I can plan my midnight excursions. Are you sure this beer is only 8%ABV/6.4% ABW? Well done. Hopheads stock up. Taste +6/5 You don't like my score? Get your own blog! In case you missed it: Moon Under Water changed hands. Clay Potter is now brewing up some new stuff for local craft beer lovers to devour. Their Pilsner was great, dunkel ditto. The newest brew is a weizenbock. This style is essential a strong wheat beer. While other bocks are lagers, weizenbock are generally ales. The definitive example of a weizenbock is Aventius, by Schneider. I think you can find it in bottles around town, or Clive's Classic Lounge has some. These brews have a high percentage of wheat malt in the recipe and often uses a specialized yeast strain. A combination leading to big flavours of bananas, cloves, wet cereal, caramel and figs. So how did the Victorious fair? WOW, party time in ester town! With a big nose of Wheaties, bananas and cloves, you know the flavour will be equally as large. The creamy and full mouthfeel adds no new flavours but does provide a bit of warmth. All the way to the end, the bananas prevail. Sweet tapioca, figs and cloves end in a longer linger of banana puree. Well done. For all you savages out there, a perfect food pairing would be heavy game. Think about duck, venison, or pork stew. For the more gentle folk; mushroom paté or tempeh stroganoff would be suitable. Both could agree on flambé bananas for dessert. After an epic beer shopping trip to Seattle, it is time for the next beer school. This one will be all about stouts. Sorry, I don't have a clever name for this school. Perhaps a prize will be awarded to the person who comes up with the best name for this beer school. As always you are there to learn. There will be history, glassware lessons, food pairing suggestions, a cheese plate to nibble on and prizes. The same format as always: bring a pen, your palate and $20. Email me or leave a comment to reserve your spot. There will be around 18-20 spots for this event. If this event fills, and I'm sure it will quickly, I might attempt an experiment. It will involve a instantaneous stout nitrogen system. a) Moon Under Water has a rotating guest tap. Not big news, but they do have what is up next on the chalkboard. Clay mentioned - not to me- that he would be getting Coal Harbour stuff on tap soon. 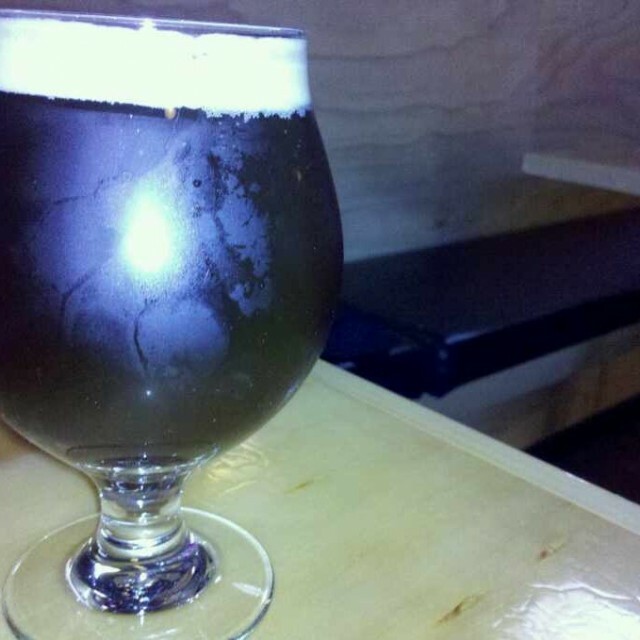 b) Next up on tap is a weizenbock! c) People really like the wings. I tried the cask of dunkel, it was OK. I little thin, but ok. It is not often I give a Pilsner a high rating; usually these beers are inherently boring. They shouldn't be boring, but often they are brewed that way. This is the second best pils I have ever tasted. Prima Pils by Victory brewing is #1. The nose is very agreeable: minor DMS, good amount of straw, spicy hops with a citrus tinge. Something very unexpected happens when you take a sip, there is flavour. Quite a bit for a local Pilsner. It's the spicy hops that grab you first, not too assertive, they are comforting. Then the lemon-lime citrus steps in and says hello. This is followed closely by straw malts with faint pale fruits. To finish it off, there is a lengthy linger of dry, spicy citrus hops. The DMS only adds body; it doesn't increase your daily intake of veggies. Well done. I also like the fact that it is unfiltered. There is nothing wrong with a little cloudiness. Beer geeks like to gather and discuss things. We discuss many things, but the main focus is always beer. This beer school was all about the Saison style. Thanks to Clive's Classic Lounge for allowing us to use the back snug room. The Saison style originated in the southern region of Belgium called Wallonia. This French speaking area of Belgium was historically an area of agriculture. Every farmhouse produced an ale for both nutrition and enjoyment. 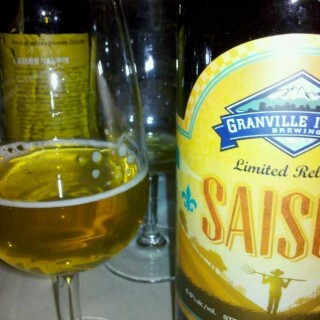 This is why the Saison is sometimes called a 'farmhouse ale'. 'Saison' is the French word for season. This beer was brewed in spring, la saison de mars (March), to be enjoyed during the summer months. A hearty brew was needed to last for an entire season. It's higher alcohol content and generous hopping were qualities need to make a beer last for extended periods of time. Some Saisons were lightly spiced with star anise, coriander or orange peels. Others used a yeast strain that naturally produced a spicy taste. This yeast is thought to have been a hybrid of red wine yeast, hence the spicy/phenolic characteristics. 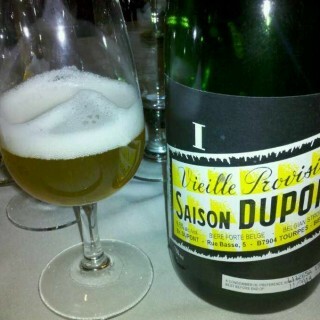 The definitive Saison is from the DuPont brewery. It is only brewed with Pilsner malt, East Kent and Styrian Goldings; no spices are used. It's bottle conditioning makes an idea beverage for short term cellaring. Despite its world wide appearance, DuPont is still a small family run brewery. Their annual production is only 15,000 hectoliters. By comparison, Lighthouse is 14,000 hectoliters. Central City is aiming for 35,000 hectoliters. This dry, effervescent brew never disappoints. Every taste is an explosion of lemon citrus aromas, followed by sips of spicy pepper and dry bread. It pairs with anything, but Thai food is especially nice. Next on the sampling list was the American/Belgian connection. 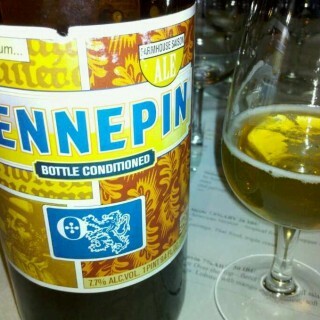 Brewed by Duvel in Belgium, the Hennepin by Ommegang was another classic. This one is spiced with coriander, orange peel, ginger and grains of paradise. A little zestier with mild honey sweetness, Hennepin would be a perfect accompaniment with sushi. 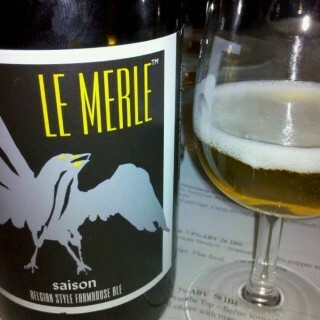 Le Merle is the American interpretation by North Coast brewing. This was a calmer beverage, but still packed 7.9% ABV punch. An approachable Saison with mild pepper notes, sweeter malts and a restrained floral hop profile. Let this brew shine alongside salmon steaks with cracked pepper and gouda. It was originally brewed for Whole Foods silver jubilee. 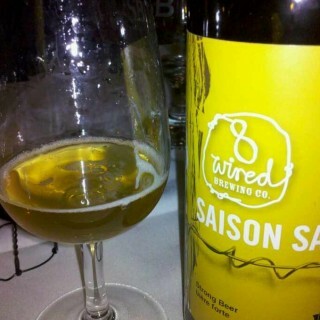 8 Wired Saison Sauvin was a southern hemisphere take on this classic style. Its southern hemisphere hops delivered something very different: lots of tropical fruits and tongue tingling spiciness.This was the crowd favourite. A perfect food pairing would be lobster with mango chili sauce. Lastly we had to decide if the local version could hold its own against the best Saisons in the world.We all thought that it did. It had ample spicy hops, bready malts and a yeasty character that gave a dry finish. A divine dinner: match with beer with Thai curried mussels.